I think this is a scam but there is history too. The Greeks knew that the moon and the earth were balls due to the shadows that they made on the moon and the sun. They knew through experiments that only a sphere would cast, under all circumstances, the circular shape we can see during an eclipse. They knew how big a sphere the earth was thanks to geometry, deep wells and the sun standing over head at noon. I'll leave it to others to explain how that worked. I still maintain that this is a scam, that rocket with a man on board won't go 50 feet but there has to be a way to extract $ from the gullible. Remember P.T. Barnum "There is a sucker born every minute"
It is a scam of sorts. He started a gofunme account or similar last year and couldn't raise the money. Then suddenly, he becomes a flat earther and gets some $150K in funds from Research Flat Earth. Can't see him ever getting into orbit, and if by some slim chance he does - I doubt he'll make it back. If he does make it into orbit, he's probably assuming space is made up of 'volumenous ether' and won't bother bringing an oxygen supply. Is this the same guy that escaped from North Korea a couple weeks back? A can that big could fly quite a ways. I don't think the police will let him launch. Steam powered rocket? Haha, depending on how tough the shell is that is quite the bomb. What a beauty eh! Genetics gonna stop right after the launch. This guy seems to have all the qualities of becoming next Governor of California. I knew that sooner or later the movie The Astronaut Farmer would inspire some kook! NASA has faked all the space travel, satellites actually go around above us in circles. Not sure what they're smoking in California? The earth IS flat, well sorta. Atmosphere and stratosphere layers fool cameras with their light bending fisheye effect distorting pancake shapes to look like extended spheres. Planets are flat longitudinally, round on the ends latitudinally rotating digitally. Light bending effects make them appear round to the human eye. Long planets are shaped like hotdogs. Short planets are shaped like marshmallows. Sun's heat makes them crusty on the surface and gooey inside. The 'Rule of Rotisserie Conundrum' explains it. If the rotisserie is slow (like ours is)the planet will be hot on one side and snowy on the other that explains the seasons. The moon currently is an immature sun, as it grows, reaches puberty and moves out to the opposite side we will have two full grown suns and daylight all the time, we will no longer have winter. This is the actual explanation for the global warming phenomenon (the changing climate is the telltail) but the media, scientific community and gov't hide this revelation for their own nefarious profit taking reasons.. The moon doesn't spin therefore you can't proce its a ball...however I can prove looking up that it is a round flat plate. Just like the Earth is seen by the man on the moon. Actually the Moon does spin, at the perfect rate as to always present one side to Earth. It is also 400 times closer to Earth than the Sun and 400 times smaller.That`s why we get perfect coverage during an eclipse, the only know sun, planet, moon system event known to exist. Just for fun, Venus spins the other way to all the other planets and Jupiter has a moon that circles clockwise, opposite to the other 66 moons. Oh, and Uranas spins on it` side. Wonder what happened there. And Jupiter is in exactly the right place to intercept 99.9 % of the crap that would hit Earth. Somethings just make you think. One day when I`m real drunk it will hit me. Then I`ll forget when I wake up. The only thing he has to fear is sphere itself. Thanks for the chuckle..good one!! What did I just read? Am I having a stroke? Is this real life. Also on a side note, rocket man is trolling you when he says his rocket is steam powered. It uses hydrogen for fuel. Steam is what is created as a byproduct of combustion of hydrogen. If you stare at the open ocean from shore you can actually see the curvature of the earth... I hope this guy lives though. Sent from my Fancy-Shmancy Desktop Computer, using Electricity. The dark side of the moon was not seen by man until a Russian satellite photographed it in 1959. Very real. Perhaps you should summon medical attention. Strokes should be only taken in moderation. Ok I thought you were joking. Please explain to me how the moon which is mostly rock turns into a star which ate mostly hydrogen? Please also explain to me how satellites are put into orbit of the earth isn't spherical? 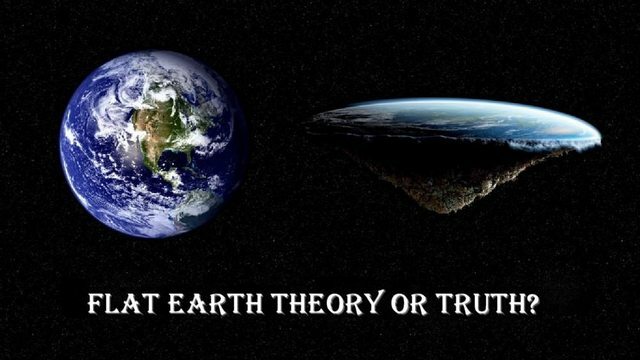 Also I'm curious as to how you explain a disc shaped earth as I assume you believe that gravity is a real thing? If we assume gravity is real then the point of attraction must have a center right? If it had a center and pulls equally from all directions wouldn't that result in a sphere? Please explain to me how sun dials work if the earth isn't round? Im also curious as to why certain constellations are visible and others aren't depending on where you are on earth. If the earth was flat wouldn't we all see the same night sky? I'm honestly curious as to how you have come to believe this despite all the knowledge we have acquired as a species. Please no hokey links or YouTube videos just an explanation info your own words. I have read some opinions and theories on this site over the years that have given me pause or made me shake my head but I've never read anything like this. I'm going to need some clarification here. So the moon .... a ball of rock is going to go through puberty and transform into a giant ball of burning gas as it moves to what opposite side? I'm curious which sun will we be orbiting? I'm curious about a lot quite frankly. I bet this is the same guy that does the youtube videos that show him sticking fireworks up his $@#. Wrong, despite most folks believing the moon is made of cheese, it is actually made of rock salt. It's orbit is dependant on the flat earths oceans tidal movement because of its attraction to salt water, when it is not visible in the sky it is found attached to the bottom side of the earth re-energizing as it collects from salt and hydrogen collected from the many domed osmosis collection terminals on the ocean floors underside waterproof liner, this explains the craters on the moon, they are actually female osmosis transfer intake terminals for importing this salt and hydrogen oxide from the earths corresponding domed osmosis dispensing terminals. The moon converts this into light energy which it stores then displays when it comes back around the earths edge to continue back on its orbit path. It also purifies the water as it removes the salt hydrocarbon energy matter from sea water and releases the now cleansed freshwater into the atmosphere that falls as rain. Sattellites are nothing more than mobile mirrors in the sky that follow the patterns of movement and reflective angles they have been programmed to operate at. They reflect light back to the earth to sensor receivers which convert the light signals working like digital cameras to collect and process this reflective information. The earth isn't moving or rotating, it's the mirrors and everything else in space around us that moves. Otherwise the wind would be so extreme on the earth it would become a sphere. Everything would be blown off the earth, the friction and heat generated by these winds would be so great the earth would catch fire burn brightly and become just another sun. Gravity is not of the earth, Gravity is within the molecules that make up all things on earth, that is how everything stays within its atmosphere. Even if he does manage to launch himself 50 km up, its still going to look flat unless he manages to launch himself parallel to the "flat earth". You should feel bad about that nonsense you just wrote.